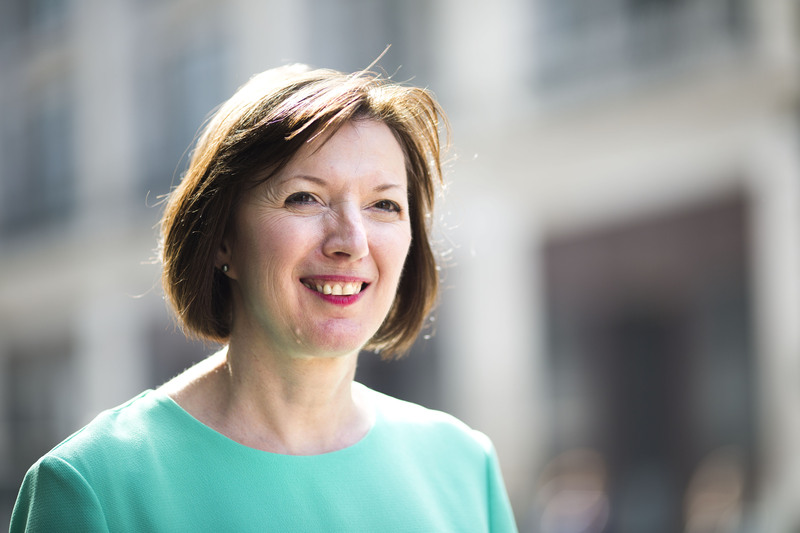 Frances O’Grady, TUC General Secretary. © Jess Hurd/reportdigital.co.uk Tel: 01789-262151/07831-121483 info@reportdigital.co.uk NUJ recommended terms & conditions apply. Moral rights asserted under Copyright Designs & Patents Act 1988. Credit is required. No part of this photo to be stored, reproduced, manipulated or transmitted by any means without permission. Ten years after the crash, ordinary people are still paying the price. Real wages are still lower than they were in 2008. Hardworking public servants haven’t had a proper pay rise for eight years. And things aren’t getting any better. On current projections, working people’s pay won’t recover until 2025, a full 17 years after the pay squeeze began. After years of cuts, our NHS and social care services are at breaking point. And our model of outsourcing public services is broken too, as the collapse of Carillion showed. When there’s money coming in, shareholders get to line their pockets. But when things go bust, it’s workers, taxpayers and service users who are left to carry the can. And all the time, bad bosses are finding new ways to exploit their staff. Three million workers in the UK are stuck on zero-hours contracts, in agency work or in low-paid self-employment. Insecure work is becoming so normal that many young workers have never known anything different. All of this has a terrible human cost. Millions of people in working households are trapped in poverty. They’re skipping meals to make ends meet, leaving off the heat when it’s cold, turning to the pawn shop or to dodgy lenders to keep their heads above water, and often even facing the threat of homelessness. And our children are bearing the cost of this crisis too. By the end of this financial year, one in seven children with a parent working in the public sector will be living in poverty. When I speak to teachers, they tell me that children are coming to school hungry because there’s no money for breakfast at home. This isn’t how modern Britain should work. So the trade union movement is standing up for the alternative. On Saturday, I’ll be joining tens of thousands of others to march through London, demanding a new deal for working people. I’d like you to march with us. We’re calling for a growing economy with great jobs in every nation and region of the UK. For a £10 per hour minimum wage and a ban on zero hours contracts. For public services that are brilliant, funded and free at the point of use. And for a society that roots out racism, sexism and discrimination. If we raise our voices together, we can rebuild a society that works. Sign up to join the march now. And I’ll see you in London on Saturday.